Nike PD soft golf balls solid core and low spin distance cover gives Nike Power Soft golf balls a greater distance along with improved velocity. 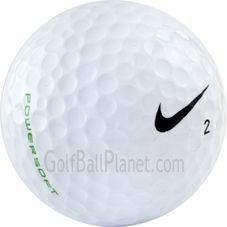 This used Nike golf ball has an increased speed since it is wind resistant. Players can aim for long and accurate flights with its 432 dimple design.